Browser based editing - anywhere, anytime. You control when the content is changed. It's all about simple, affordable and easy to manage websites. From a simple site for your local hockey club to complex e-commerce sites selling everything from flowers to machinery. YourSite is a website Content Management System (CMS) that caters to small and medium sized business. You don't need to download any software, and you don't need to know how to program. If you want a successful online business, it is important to be visible. We design and build our websites with current SEO techniques to ensure maximum benefit for your website. From a simple template to a fully customised and professional design, YourSite caters to all needs. Your existing site can be converted to YourSite hosting or it can be rebuilt with a new design. Our basic package includes these features and more. Take your website to the next level with any or all of these extra features. 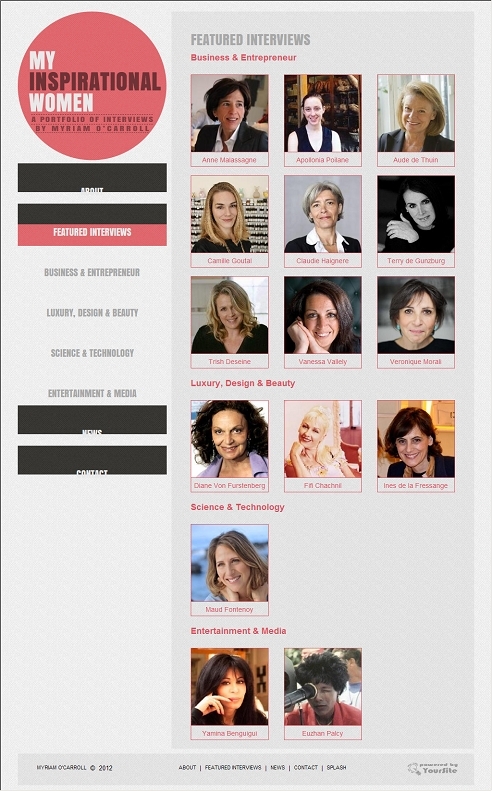 Over the past few years Myriam O'Carroll has interviewed many truly inspirational women. 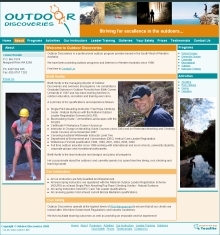 Outdoor Discoveries delivers professional outdoor programs in the South West of Western Australia since 1996.